DOVER, Del. 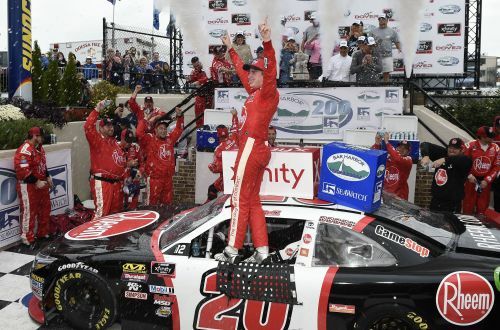 (AP) — Christopher Bell has a second straight NASCAR championship in sight. "We're in really good shape," Bell said. "It's been a career year for me," Bell said. "All credit to Joe Gibbs Racing. We have really fast race cars every time I go to the racetrack." "I'll be just as sharp whenever we get to Kansas as I was today," Bell said. "It would be nice to win a race," Custer said. "I think we'll have a shot to do it." "I don't think it's any of our championships to lose," Bell said. "It boils down to the last race. It all boils down to one run at Homestead who the champion is." "I think his future in the sport is big," crew chief Jason Ratcliff said. "I think it can go as far as he wants it to go."